All Day Fencing was created in 1993 and has expanded to become the leading website in 3 countries dedicated to Fencing, Gates and Automation. We interview the Director Richard Berckelman about the All Day Fencing USA website, how the business is performing and what his intentions are for the future of the company. Please give us a short summary of your website? 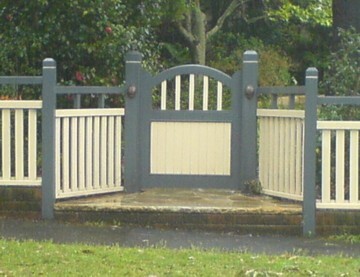 Our website is dedicated to fencing, gates and automation. 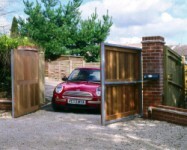 It was designed to provide information on fencing and gate products and advice to our customers. What inspired you to launch your own website? Our website has been launched to meet the demands of our clients. An online booking system was the heart of the online reform and we are hoping to gain increased clients from more exposure and a simpler booking system. When did you launch your first website, and what was it? We launched our first website in 1993. 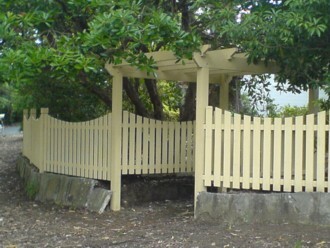 It has constantly expanded over the years to become the number 1 fencing and gates website across the country. Individual branch managers contribute ideas and information so the site is constantly growing. How does your website gain so much exposure and rankings? Well, its not brain science, we have been in the business since 1993 so there’s no quick solution but undoubtedly the website gains high page ranking because all the local area managers and their customers share the one website. They all have their locally targeted web pages but the traffic is all driven through the main information pages! The more members join the better immediate rankings for the local search engines. But I must stress you must have a superior product or service that your business is based on. What makes your website different from other, similar offerings? 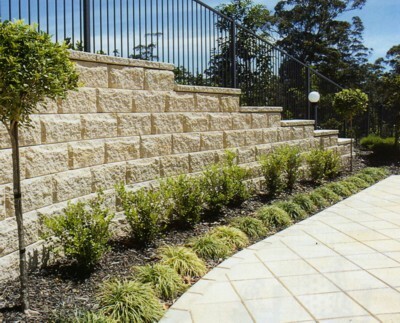 Our website contains over 50 pages of information only on fencing and gates, including legal advice, fence laws, neighbor dispute resolution, tree problems, pool fence regulations as well as our comprehensive product range. All Day Fencing is, and always will be, managed by the individual area managers. Our system is available for all local tradesmen and fencing contractors to reserve an exclusive trading area and become part of our national network. The eventual goal is to become the biggest dedicated fencing and gates website with local agents to answer enquiries in all states and counties. I have owned and run the business for 15 years and don’t intend to sell it. However I guess everything has a price. How does your investment of time and money balance against your success? The investment of our time to create a website has more than paid for itself through quicker and easier booking systems for our clients. Our decision to produce a website was driven by customer demands. We currently receive nearly 100 qualified booked quotations and 8,300 hits to our website per week for one state alone! The secret to our success stems from dedication to the product – and the customer. It is my belief that if you have a good product, you will have a good customer. If you had an unlimited development budget for development, how would you change your site? Currently All Day Fencing retain the owners of the business and an unlimited budget would create opportunities to expand into other countries. If your site got really big, really quickly, would you be able to keep up with the demand? Our site is designed to get big. In fact it is quite big now. We require local agents in all US counties and states and have set up the appropriate system to cater for rapid expansion. Our system of individual area managers run by small business acting as agents can cater for unlimited work in all areas! What unexpected costs and headaches have you had to deal with? It has taken close to 10 years to build and perfect this system. All individual agents have contributed to helping solve bugs and start up problems that occur when taking on such a large enterprise. It is the valuable feedback from our agents and clients that has helped us to improve our business practises. Probably the biggest challenge has been to find the right avenues to promote our business throughout the US, and increase our page ranking in search engines. What method has been most successful for promoting your website? The most successful method we have found to promote our website is simply to have great informative content available on our website that answers our customers enquiries. How has running your website differed from your expectations? Our website is constantly growing with each new member. Members can communicate with each other and contribute to the overall business through the All Day Fencing live forum. How long have you run the site already, and how long will you continue to keep it up if you don’t enjoy big gains in traffic, income or popularity? 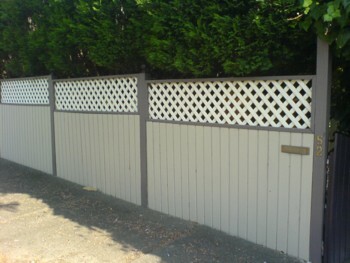 All Day Fencing have been in business since 1993. Our system has developed into a successful business model, based on real products and services, and continues to expand by itself. Every new member helps to promote the business by creating a localised branch targeting specific local key areas. As this system is constantly changing and growing with every new member, the system will continue to expand indefinitely. *Member applications and information is available at www.alldayfencing.com/adfagencyinfo.php. Construction Jobs Available USA – All States, register now! 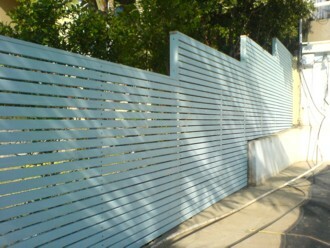 for all states for ongoing work in the fencing and gates industry. Several positions are available now for suitable trades/contractors to register for work in their local area. Applicants should be currently self employed in the trades, fencing or building industry, must carry the required insurance/s plus maintain their own tools and transport. Applicants must be honest, diligent, motivated, must attend all customer enquiries promptly and must abide by the All Day fencing code of conduct. Established in 1993, our clients include home owners, real estates, property managers, strata managers, developers, builders, landscapers, architects and many other related professionals. NO Competition, NO Contract, NO Excess Fees, NO Penalty Rates, No Risk! Register online now and receive a 30 DAYS TRIAL. If you are successful in your trial 30 day period you will be offered your exclusive trading area to manage permanently. Once your branch is established you can onsell your area as long as the terms and conditions remain for the new owner. As all our branches are given exclusive trading area this offer strictly only applies for areas currently available. The first step for applicants is to search for your local county to see if the area is available. If available subscribe for a 30 day trial. As there is no contract you may cancel at any time without penalty.